Free Honeymoon Registry. See location of their Dream Honeymoon. 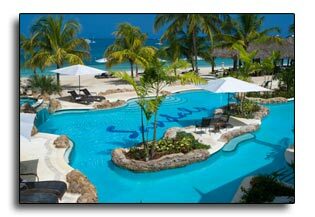 Jessica and Jantzen have chosen Sandals Negril for their honeymoon home. 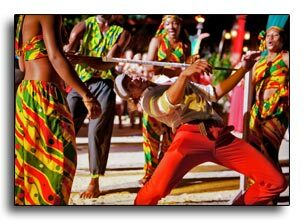 With its blissful ambiance of laid-back cool and uninhibited revelry, Sandals Negril epitomizes the free-spirited personality that has long made Negril the playground of choice for fun-loving pleasure seekers. Here on sands of pure white kissed by a sea of aquamarine, this decadently carefree resort is nestled within lushly landscaped acres along the island's legendary Seven-Mile Beach, putting you closer to the water than anywhere else in Negril. 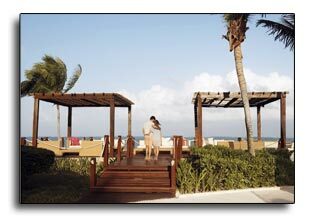 Jessica and Jantzen have chosen a Paradise Honeymoon Beachfront Grande Luxe Club Level Room. 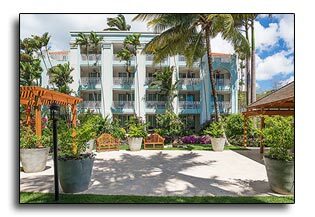 Located directly on the beach on the second or third floor of the Paradise building, these luxuriously appointed, contemporary-styled rooms feature a walk-in shower, mahogany furnishings, in-room bars, a four-poster, king-size bed and smart TVs. 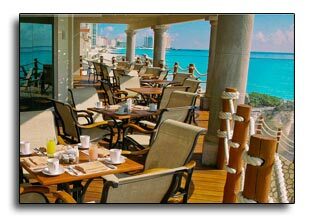 The spacious balcony features stunning ocean views and a chic dining area with lounge chairs. 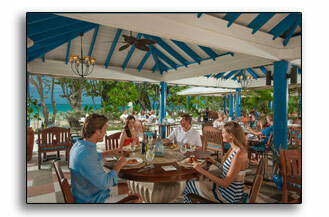 Guests can enjoy Club Level Concierge service and exclusive entry to Club Sandals. There will be unlimited ways for Jessica and Jantzen to have more fun than they anticipate. 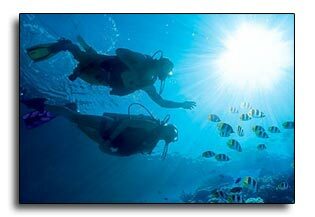 With so many land and water sports there's something for everyone ... even PADI Certified Scuba Diving if interested. 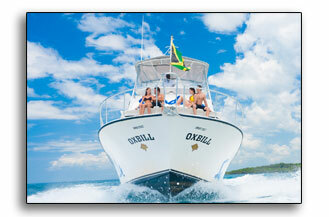 So many water sports are included with top of the line equipment and professional instruction. 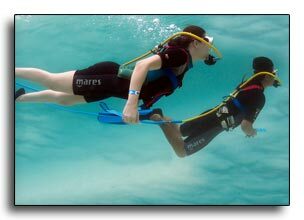 Jessica and Jantzen have options of aquatrikes, kayaks, waterskiing, windsurfing, snorkeling, sailboats, hobie cats, scuba diving, paddle boarding, wakeboarding or kneeboarding. Land spots include table tennis, shuffleboard, lawn chess, croquet, basketball, beach volleyball, tennis, board games, pool tables, darts, bocce balls and the fitness center. So much to do or nothing at all because it's all included all the time. 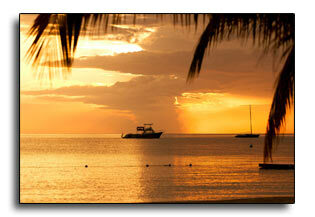 Every day is a celebration at Sandals Negril. 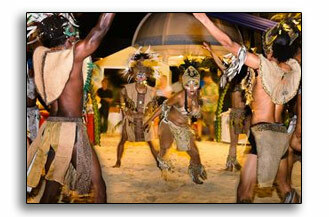 Modern and lively parties around the pool, the beach and around the clock. 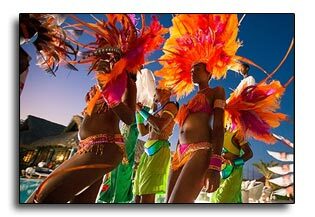 Theme nights Jessica and Jantzen will enjoy are Reggae Fest, Jamaica Day, Lover's Rhapsody, Lover's White Night and Chocolate Buffet, Encore Talent Show, Carnival Beach Party and a Caribbean Night. Jessica and Jantzen can choose to be spoiled and pampered with a couples massage at the Red Lane Spa ... a tranquil sanctuary with Caribbean inspired spa treatments using regional natural products. 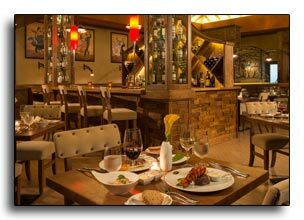 Food and drink are always included and always unlimited. 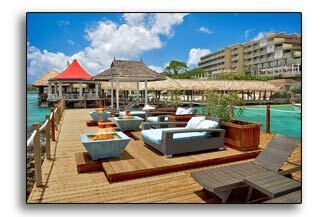 There are 7 restaurants and 5 bars around the resort. 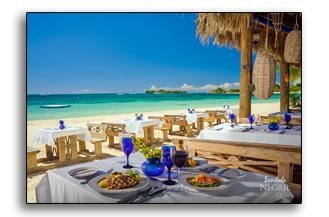 Jessica and Jantzen will dine around the world with dining options of Caribbean, Italian, Jamaican, Asian, Seafood, Pizzeria and a beachfront grill. Never a chance to be thirsty with unlimited premium spirits, Robert Mondavi Twin Oaks Wines and Jamaica Blue Mountain Coffee. 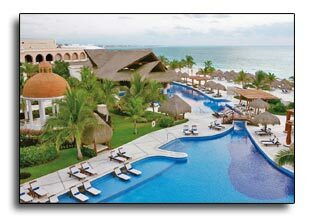 This will be a wonderful honeymoon week for Jessica and Jantzen. Filling their hearts with sweet and special memories along the way. 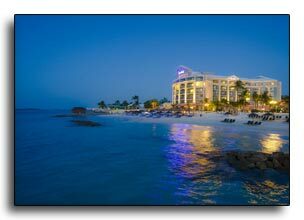 Click here to help Jessica and Jantzen experience a most romantic and memorable Honeymoon! 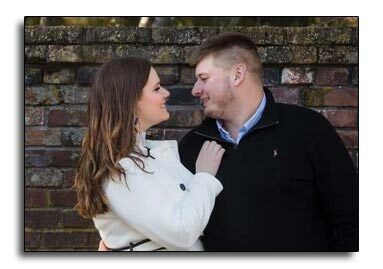 Katie & Matt will be honeymooning at the lovely Punta Cana Princess All Suites Resort, an all-inclusive, adults-only property situated on the exotic beaches of the Dominican Republic. Coupled with full exchange privileges at two sister properties, this resort will offer Katie & Matt an extensive array of amenities for them to immerse themselves and experience an active and yet relaxing and fun-filled honeymoon. 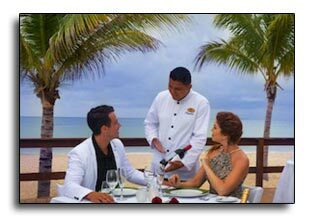 With beautifully appointed suites, 24-hour all-inclusive service, an abundance of land and water activities, excellent dining, nightly entertainment and friendly service, this happy couple will experience a true “island vibe” while there. 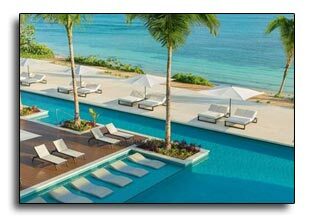 They will have one adult pool, with access to 3 other pools at adjacent sister resorts, four a la carte restaurants, three bars, a full-service spa with sauna and Jacuzzi, a fitness center, and a PADI dive center as well as have access to a nearby 18 hole golf course. 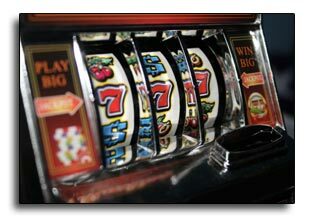 They find a wide variety of organized land and water activities to fill their time, a casino and a disco. 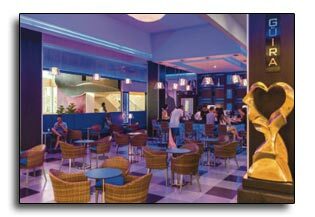 They will enjoy drink service at the beach and exchange privileges to the Caribe Club Princess and the Tropical Princess Beach, giving them even more dining, drinking and recreational options, including an additional five restaurants and seven bars, four pools total and a mini-golf course. 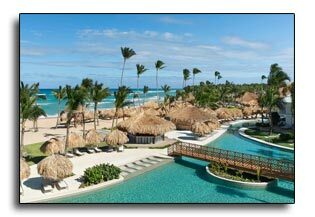 Amid hundreds of coconut trees, tropical mangroves and exotic gardens, the Punta Cana Princess All Suites Resort will be the perfect beachfront getaway for Katie & Matt to make memories to last a lifetime! Click here to help Katie and Matt experience a most romantic and memorable Honeymoon! 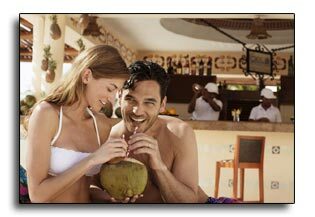 Karalynn & Brett have chosen a lovely adults-only, All-Inclusive Excellence Punta Cana Resort, in an Excellence Club Ocean View Room, which sets a high standard for luxurious and romantic escapes as their honeymoon destination. 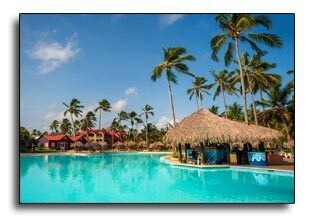 They can expect gracious informality and first-rate service far from the crowds as they relax and connect among lush coconut palms, vast grasslands, a pristine opalescent beach, and the beautiful Caribbean Sea in Punta Cana. 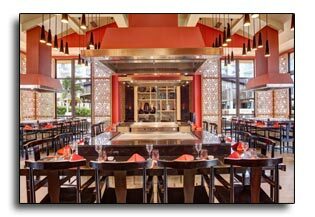 Karalynn & Brett will choose among 10 bars and lounges as well as French, Mexican, Mediterranean, Italian, and Asian cuisines for their meals. 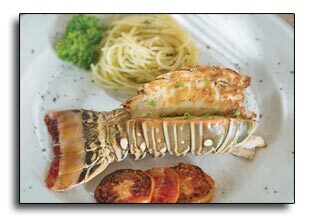 If surf 'n' turf is more their style, they can choose lobster and steak as well. Room service also is available to them 24 hours a day. 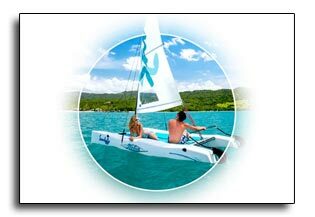 Complimentary non-motorized water sports include kayaking, sailing, windsurfing, and snorkeling will keep this happy couple as busy as they want to be. 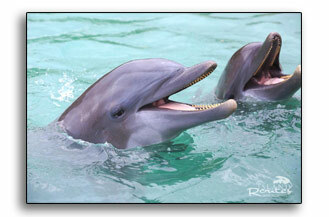 They will enjoy the fun in the ocean, 2 swimming pools and 2 Jacuzzis. The resort's private horse ranch can outfit them for riding, and 3 tennis courts are lighted if they choose an evening game of tennis. They can also go to the award-winning spa and wellness center for a massage and yoga to relax after a busy day of fun activities. 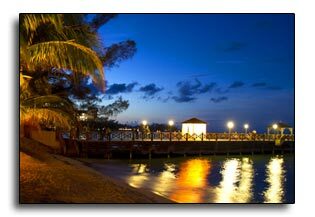 A perfect setting for romance by the sea for Karalynn & Brett for a most romantic and memorable honeymoon! Click here to help Karalynn and Brett experience a most romantic and memorable Honeymoon! 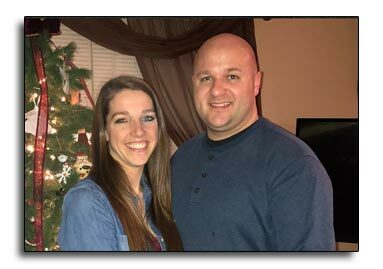 Savanah and Steven have chosen to travel to Jamaica for their honeymoon. 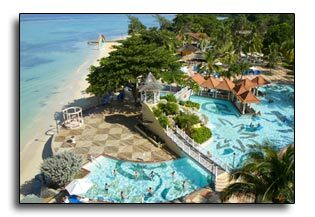 Jamaica is 4,240 sq. miles of Reggae, romance and everything all right. 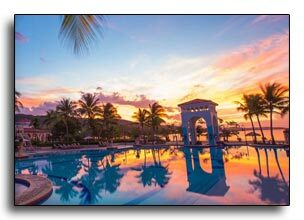 The third-largest island in the Caribbean has everything between the white-sand beaches and the Blue Mountains, from magnificent sunsets and waterfalls to golf, fine dining and easy-paced relaxation and memorable and romantic honeymoons! 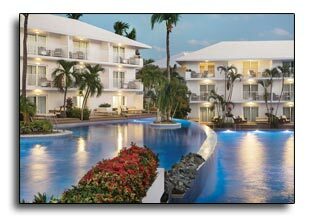 The Royalton White Sands will be Savanah and Steven's honeymoon home. 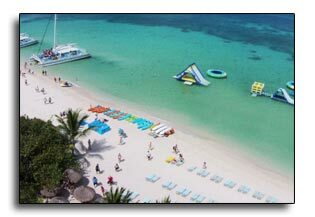 The all-inclusive beachside resort is located on the white sands of Montego Bay and cradled by it's crystalline waters. With an All-In Luxury concept, exceptional service and incredible attention to detail this is the perfect location for their honeymoon. 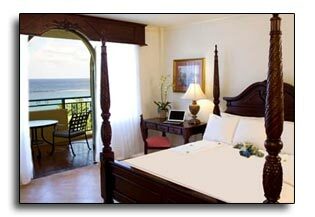 Savanah and Steven have chosen a Luxury Ocean View Room. They will enjoy a brightly decorated room with a king sized bed, stocked mini-bar and a private balcony or terrace overlooking the beach and ocean. There will be many activities for Savanah and Steven to choose from including beach, pool and land volleyball, table tennis, cooking classes, Reggae classes, trivia games, beach and pool olympics, aerobics and a fitness center or maybe hours of aquatic fun in the lazy river and the water park. 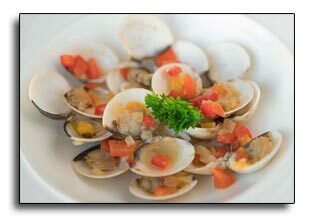 Savanah and Steven will embark upon a culinary journey showcasing innovative cuisines from around the world. 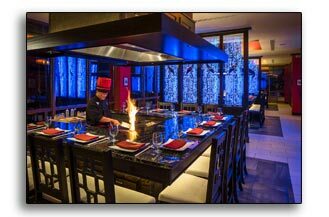 Options are Japanese Teppanyaki & Sushi, Italian, the Hunter Steakhouse, Asian, Mediterranean, West Indian, Tex-Mex, the Chef's Table, the Sport's Bar and the Jerk Hut. 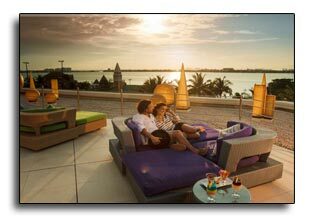 With 24-hour room service they can indulge in the comfort of their own suite as they delight in Jamaica's inspiring sunrises, sunsets and starry evenings! To be relaxed, spoiled and pampered Savanah and Steven will visit the resort spa for a couples massage or a visit to the hot and cold plunge pools, sauna or steam room. So much to do or nothing at all will be a perfect honeymoon for Savanah and Steven. They'll bring back hearts filled with sweet and special memories. 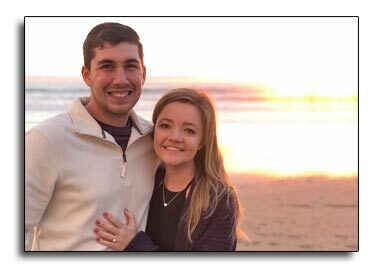 Click here to help Savanah and Steven experience a most romantic and memorable Honeymoon! 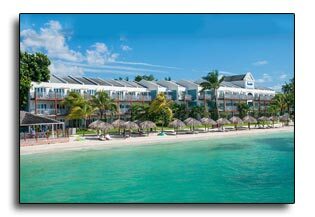 Rachel & Derrick have chosen the Sandals Royal Bahamian Spa Resort & Offshore Island as the location for their memorable and romantic honeymoon. They are certainly looking forward to visiting this regal resort. 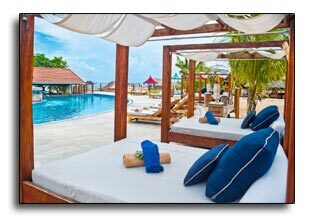 Here, time slows down, smiles abound and the famed Sandals all-inclusive experience reaches the highest level of luxury. 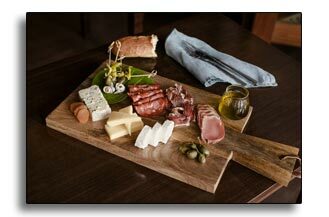 Ten world-class specialty restaurants will take them on an international culinary tour. 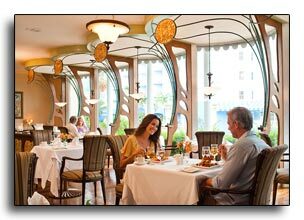 Each restaurant is guided by its own master chef and each offers a unique universe of elegantly themed decor accompanied by sensational haute cuisine. 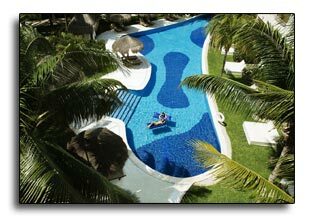 There are also 8 bars and a full service spa as well as a private offshore island. 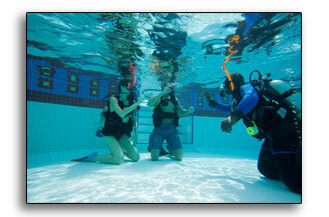 Rachel & Derrick will also be choosing from a wide variety of land and water activities to occupy their time. This couple has chosen a Balmoral Beachfront Club Level room category. 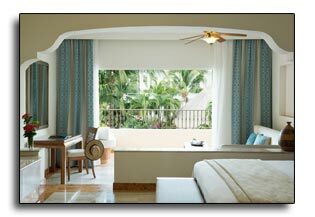 Their room will have mahogany furniture, a sitting area, robes, in room bar and a view of the Ocean. The experiences from celebrating their honeymoon at this "Pearl of the Caribbean" will bring memories to last a lifetime for Rachel & Derrick. Click here to help Rachel and Derrick experience a most romantic and memorable Honeymoon! 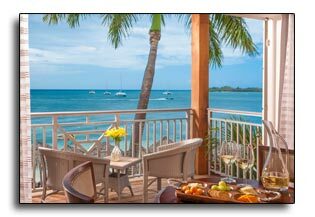 Mallory & Patrick have chosen the Excellence Oyster Bay Resort for their honeymoon getaway. 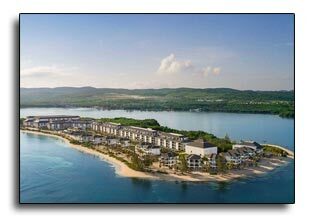 A private Peninsula of all-inclusive, all-adult Luxury in Jamaica, this resort is located on a pristine, tropical paradise surrounding Montego Bay, just 30 minutes away from the international airport. This couple will be met by a breathtaking landscape of turquoise, Caribbean waters and mangrove lagoons which will be there home away from home as they begin their marriage. Featuring all-suite accommodations, a variety of upscale restaurants and bars, a world-class spa and impeccable service, this adults-only, Victorian-style waterfront resort redefines luxury standards. 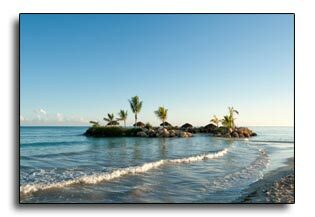 Mallory & Patrick will walk 2 miles of secluded, virgin, white-sanded beaches, lined by lush tropical vegetation set a romantic atmosphere, perfect for enjoying the most beautiful sunsets in the Caribbean. This happy couple will call a Junior Suite with Plunge Pool Ocean Front their home for this stay featuring luxury living, exclusive amenities, a jacuzzi for two, oceanfront views and, a furnished balcony and private plunge pool. This suite will be perfect for Mallory & Patrick. Excellence Oyster Bay offers so many activity choices for Mallory & Patrick to enjoy an active honeymoon or, one of relaxation and calmness. 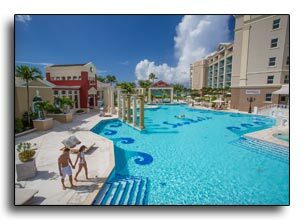 In addition to the beautiful beach, six pools & 4 Jacuzzis, resort activities include a variety of aerobic and aqua-fit classes, tennis, billiards, table tennis, as well as a variety of water sports available on the beach such as hobie cats, kayaks, snorkeling gear, and so much more! There are 10 International restaurants and 10 bars with unlimited access so Mallory & Patrick will have plenty of options for food and drink. At the MIILÉ SPA, they can also indulge in all the pampering they may want. 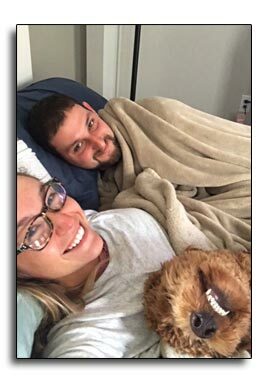 What a wonderful way for them to relax after the wedding! What a special honeymoon week this will be for Mallory & Patrick. Making new memories and enjoying time together! 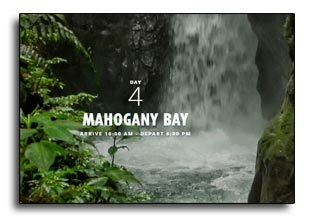 Click here to help Mallory and Patrick experience a most romantic and memorable Honeymoon! 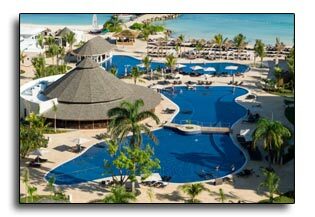 Amber & Nate have chosen the Excellence Riviera Cancun Resort for their honeymoon getaway. 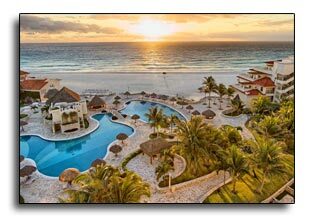 Located along the beautiful white sand beaches of the Rivera Maya in Mexico, this resort is a world within a world, an all-inclusive retreat where five-star luxury gives meaning to every moment. 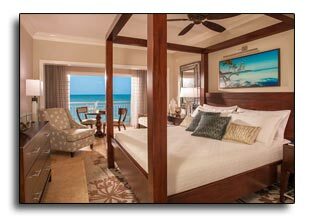 This happy couple will call a Honeymoon Suite Ocean Front their home for this stay featuring luxury living, exclusive amenities, oceanfront views, private and furnished balcony and private indoor and outdoor Jacuzzis for two. This suite will be perfect for Amber & Nate. 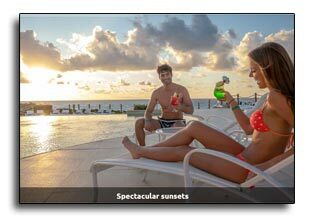 Excellence Riviera Cancun offers so many activity choices for Amber & Nate to enjoy an active honeymoon or, one of relaxation and calmness. 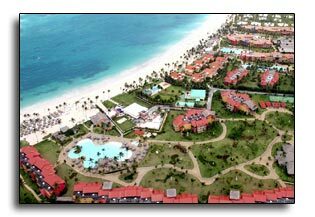 In addition to the beautiful beach, six pools & 5 Jacuzzis, resort activities include a variety of aerobic and aqua-fit classes, tennis, billiards, table tennis, as well as a variety of water sports available on the beach such as hobie cats, kayaks, snorkeling gear, and so much more! 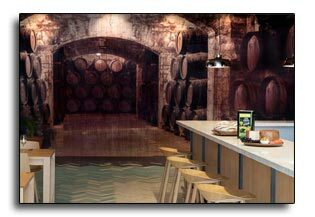 There are 10 International restaurants and 11 bars with unlimited access so Amber & Nate will have plenty of options for food and drink. 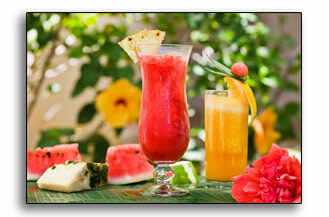 At the MIILÉ SPA, they can also indulge in all the pampering they may want. What a memorable and romantic honeymoon week this will be for Amber & Nate. Wonderful new memories and so much fun! 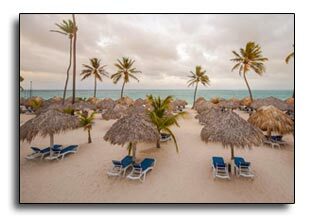 Click here to help Amber and Nate experience a most romantic and memorable Honeymoon! 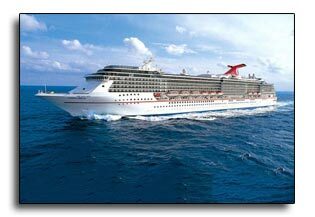 Lauren & Kerry will be sailing on the Carnival Miracle for their honeymoon. 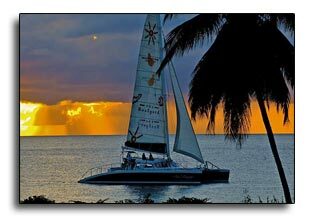 Sailing a Western Caribbean Itinerary, this happy couple will visit Grand Cayman, Roatan, Belize and Cozumel, taking in all the sites and activities these fun ports of call have to offer. Lauren & Kerry will also enjoy their balcony stateroom and all the exciting activities on board the Miracle as well. They will escape from reality as they take in a show at the Phantom Lounge, a drink at Odyssey Bar or a dance at Dr. Frankenstein’s Lab. or, they may chose to lose themselves in a song at Sam’s Piano Bar. They will find great food all over the ship, from the casual fare of Horatio’s to the artful eats of the Bacchus and Ariadne dining rooms… not to mention the world-class cuts at Nick & Nora’s Steakhouse. 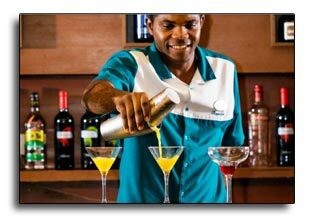 At Alchemy Bar drinks are turned into art, while the laid-back RedFrog Pub has ‘Caribbean cool’ down to a science. 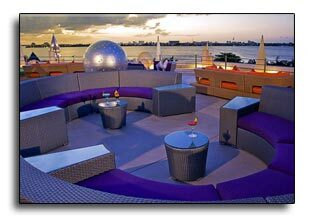 And up in SkyBox Sports Bar, Carnival has combined luxury-box comfort with the up-close view from the 50-yard line. Up on stage are the real-deal, pretend-singing champs — for instance, Lauren & Kerry! 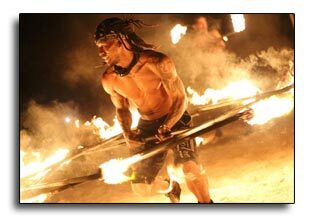 — among their fellow vacationers at Lip Sync Battle: Carnival. Outdoors there’s fun to be had, whether Lauren & Kerry are down for watersliding or up for simply sunning — Carnival’s Twister Waterslide has them covered (in water, that is), and the Serenity Adult-Only Area will get them relaxing in the sun or the shade, grown-up-style. Or, they may join in on the interactive CLUE: The Murder Mystery woven dramatically throughout their entire voyage and end some nights with the sweetest way to cap off the day, with a treat from Cherry On Top, the onboard candy-and-more store. 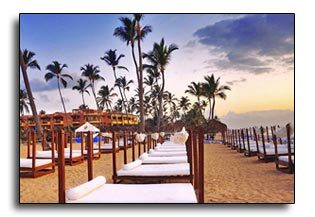 This will be a fun, relaxing and memorable honeymoon week for Lauren & Kerry. 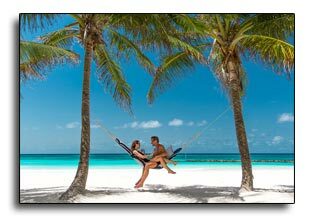 Click here to help Lauren and Kerry experience a most romantic and memorable Honeymoon! 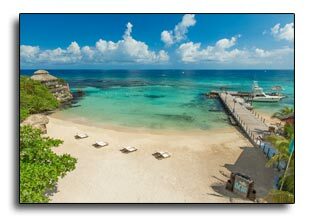 Brittany & Tyler have chosen the Jewel Dunn's River Beach Resort & Spa for their honeymoon home. 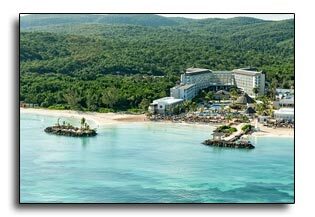 Located near Ocho Rios on the northern coast of Jamaica the resort offers many on-site activities and is convenient to many area attractions. The road going into the resort is lined with palm trees and will give them the feeling of being on a plantation. 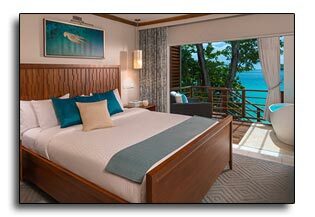 Brittany & Tyler will have a Sapphire Ocean View Guest Room featuring Colonial decor, king sized bed and a mini bar stocked and replenished daily with water, soda, juices, coffee and tea. 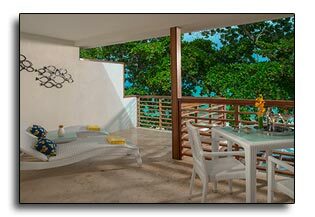 They will enjoy majestic views of the blue Caribbean Sea and white sandy beaches from their private balcony. 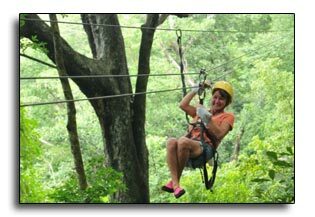 The Jewel offers so many activity choices for Brittany & Tyler to enjoy an active honeymoon, but if they want to relax and unwind, that works too. 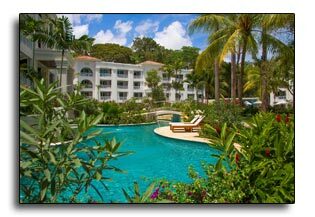 In addition to the beautiful beach and two spectacular freshwater pools, resort activities include a variety of aerobic and aqua-fit classes, day and night tennis, shuffleboard, billiards, table tennis, beach volleyball, croquet and on-site golf. 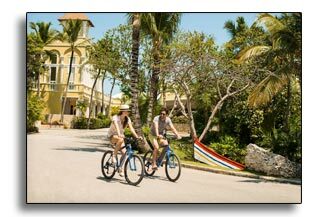 A variety of water sports are available on the beach, and canoes, kayaks, snorkeling gear, sailboats, windsurfing and hydrobikes are included for all guests. 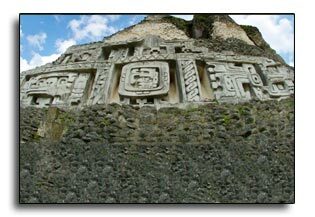 The Jewel can also arrange a variety of island tours. 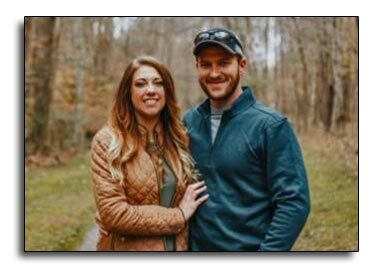 There are 6 restaurants and 6 bars with unlimited access so Brittany & Tyler will have plenty of options for food and drink. 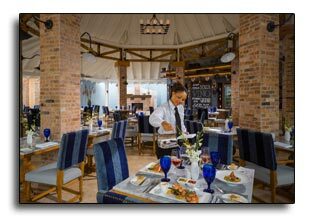 They can travel around the world with dining choices including Italian, West Indian, Teppanyaki, Fire oven pizza and the Aquamarina Beach Grill. The Radiant Spa is a sanctuary for mind, body and soul that reinterprets classic European spa rituals with a distinctive Caribbean flair. 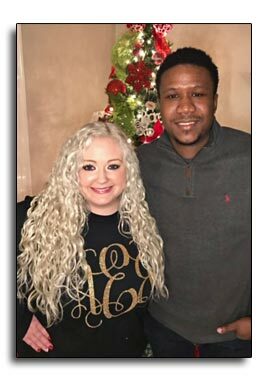 Brittany & Tyler might enjoy being spoiled and pampered with a couples massage or other treatments offered by the spa or salon. 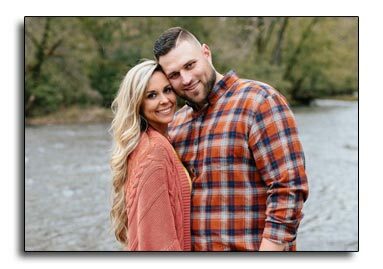 What a memorable and romantic honeymoon week this will be for Brittany & Tyler. So many new experiences and so much fun ... making sweet and special memories along the way! 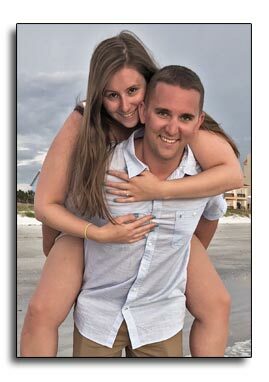 Click here to help Brittany and Tyler experience a most romantic and memorable Honeymoon! 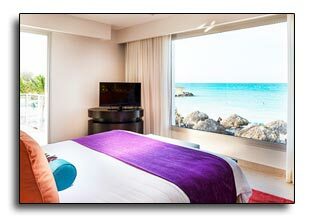 Jessica & Sean have chosen a Luxury Junior Suite Diamond Club room at The Hideaway at Royalton Riviera Cancun as their romantic honeymoon destination. This all-inclusive, adults-only resort on the beautiful Riviera Maya will be the perfect place for them to begin their married life together. The Hideaway at Royalton Riviera Cancun, a boutique resort, will offer Jessica & Sean a tranquil oasis with a relaxing, private and kids-free haven within the expansive Royalton Complex, where they will enjoy full exchange privileges. Featuring an exclusive, adults-only pool, restaurant and bar, reservation-free gourmet cuisine, international and local brand liquors, beers, house wines and a sparkling pool, Evan & Neil will be sure to find themselves secluded in relaxation amidst a wide variety of activity and action; perfect for adults seeking a mixture of tranquility and fun. 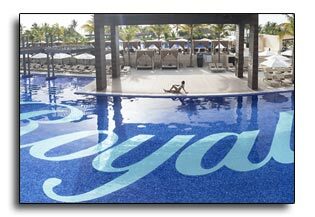 Jessica & Sean will indulge in the All-In Luxury™ concept Royalton Resorts is renowned for, including luxury suite accommodations with exclusive DreamBed™ bedding, 24 hour room service, free Wi-Fi, All-In Connectivity, and numerous other perks and privileges. They will have 10 restaurants and 16 themed bars, or the convenience of 24-hour room service, to choose from while at the expansive Royalton Riviera complex. 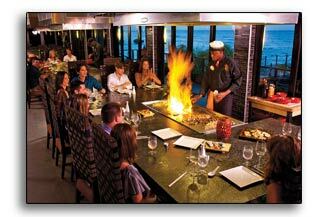 From the Japanese Teppanyaki and Sushi Bar, to the authentic Italian Trattoria, the a la carte dining experiences are truly world class. The hardest part will be deciding which restaurant to choose each evening! What a perfect way for Jessica & Sean to begin their marriage...they will return home with many wonderful memories! 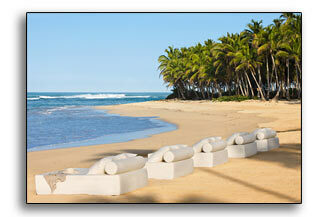 Click here to help Jessica and Sean experience a most romantic and memorable Honeymoon! 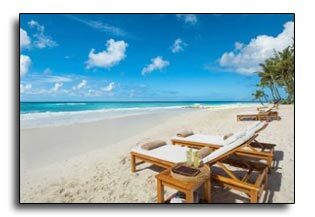 Amber & Michael have chosen Sandals Barbados for their memorable and romantic Destination Wedding and Honeymoon. 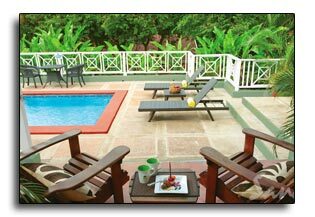 Located in St. Lawrence Gap, the resort offers undeniable luxury. 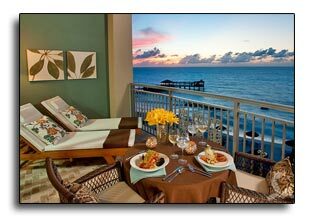 Amber & Michael have chosen a Beachfront Honeymoon Club Level Suite as their honeymoon home. 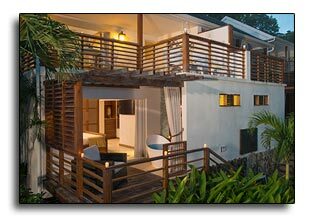 Located in the Beachfront Village, their romantic honeymoon suite will have a private balcony showcasing stunning views of the Caribbean Sea and Maxwell Beach. The spacious interior will have elegant furnishings, a four-poster king-size bed, HD smart TV and a comfy sitting area with a fully stocked bar. 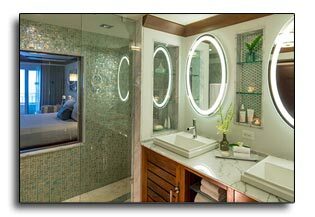 Their en-suite spa-style bathroom is outfitted with a double basin vanity, dual-control walk-in rain shower, and backlit mirrors. 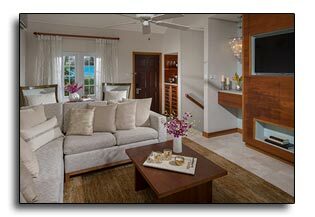 Amber & Michael will enjoy Club Sandals concierge services including private check-in, all day room service and access to the Club Sandals Lounge. 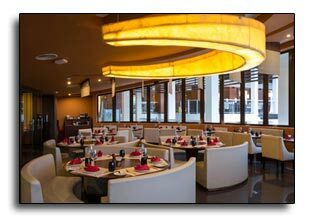 An impressive array of international cuisines will make dining fun and enjoyable for Amber & Michael. 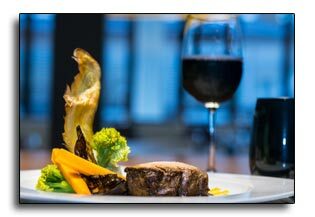 Options include Caribbean, Italian, Indian, a French style patisserie, sushi, a New York style steakhouse, a beach grill and more. 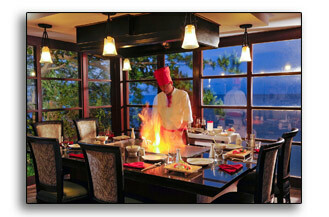 Each restaurant features their very own chefs dedicated to every authentic detail. 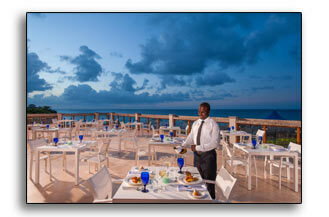 With Royal Barbados nearby they will have 17 restaurants to choose from. 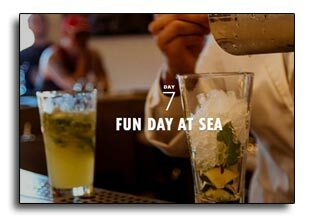 Seven bars around the resort offer unlimited premium spirits. An abundance of water and land sports will keep Amber & Michael busy. 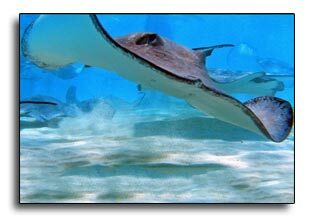 Included are kayaks/canoes, boogie boards, snorkeling, hobie cats, paddle boarding, pool volleyball, glass bottom boat rides, table tennis, bocce ball, beach volleyball, board games, pool tables, cricket and yoga ... and a fitness center. So much to do or nothing at all ... it's their choice. To be spoiled and pampered Amber & Michael will visit the Red Lane Spa for a tropically infused couples massage, where their mind, body and soul will have a chance to relax and re-energize. Every love story is unique and special. 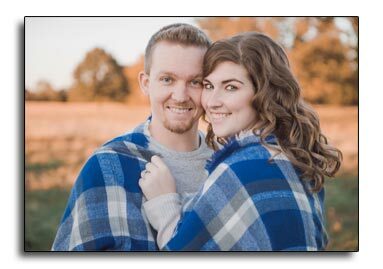 Amber & Michael's wedding will be a very personal experience personalized just for them. 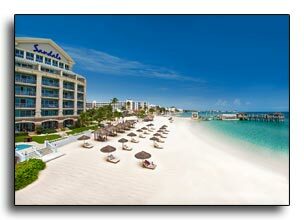 All with the beautiful beach and ocean backdrop at Sandals Barbados. Their day will be special and extraordinary. It's true ... dreams really do come true! 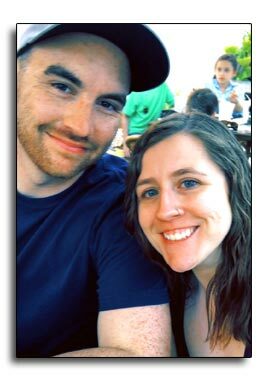 Click here to help Amber and Michael experience a most romantic and memorable Honeymoon! 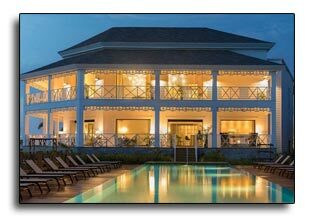 Khristian & & Nathan will be honeymooning in a Butler Village One Bedroom Poolside Villa Estate Suite at the beautiful Sandals Ochi Beach Resort. 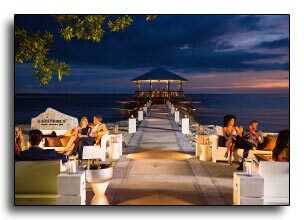 Located in the Ocho Rios area of Jamaica, this destination will offer them a wide variety of fun and exciting adventure opportunities as well as 16 gourmet dining choices, 11 bars and entertainment galore...even a Speakeasy! 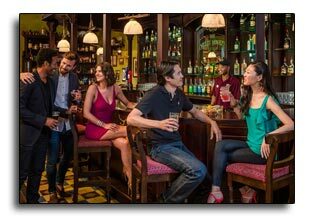 The Rabbit Hole, the first speakeasy in the Caribbean. where they will speak the secret password for old-fashioned cocktails and live entertainment in a so-retro-it's-chic-again ambience that will take them back to the 1920s. Activities for Khristian & Nathan will include land and water sports, nearby golf, multiple beautiful pools, a rock climbing wall and fitness center as well as the relaxing and rejuvenating Red Lane Spa. 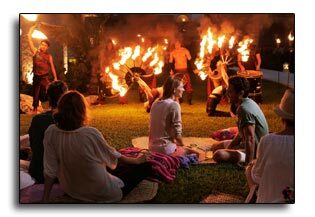 And in the evenings, Courtney and Patrick will enjoy a Beach Party with fire dancers, Talent Night, White Night and Chocolate Buffet Night. 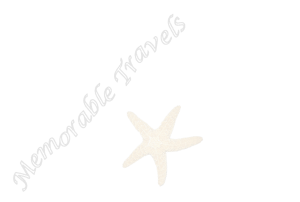 Click here to help Khristian and Nathan experience a most romantic and memorable Honeymoon! 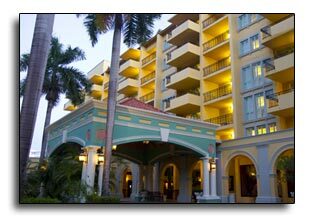 Paige and Eldon have chosen the Riu Republica for their memorable and romantic Destination Wedding. 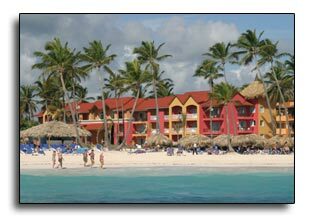 The resort is an all-inclusive, adults only resort located on the beautiful Arena Gorda Beach in Punta Cana ... beautiful clear blue waters and white sandy beaches create the perfect setting for a relaxing and romantic getaway. The resort is in a prime location. Paige & Eldon have chosen a Courtyard View King Room. 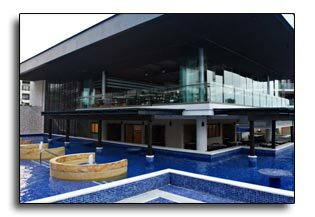 They will have a stocked mini-bar, satellite tv, free wi-fi and will enjoy views from their private balcony. 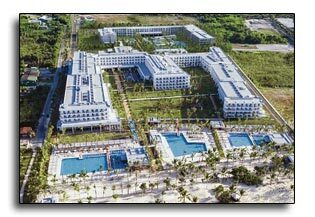 The Riu Republica has so much to do or nothing at all. 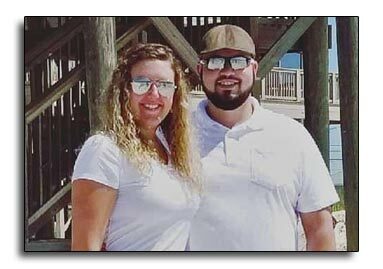 Paige & Eldon will have plenty of options to keep them busy from water slides, windsurfing, beach volleyball, kayaking, snorkeling, and water polo. 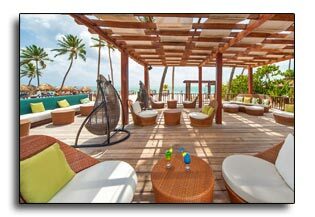 Or they might choose to find their special loungers by the pool or ocean and sipping their favorite cocktails. 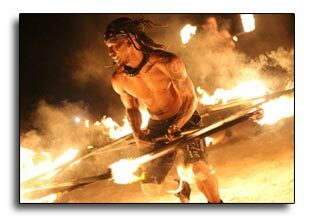 Nightlife activities include live entertainment and a disco. 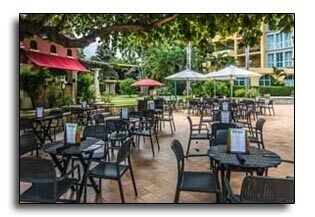 All meals, snacks and unlimited drinks are included. 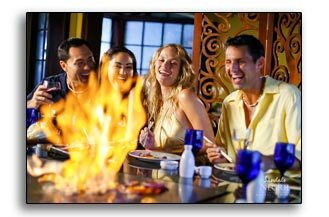 With 9 restaurants Paige & Eldon will dine around the world with options including Asian, Italian, Indian, Mexican, International, Steakhouse and a beach grill. 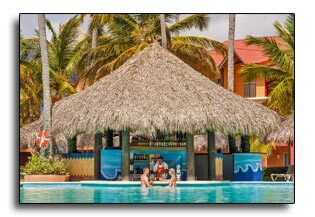 7 bars and 3 swim up bars are ready to quench every thirst while the jerk station on the beach keeps everyone feeling full between meal times. 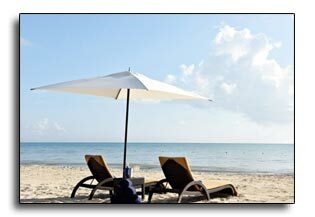 The resort spa will be the perfect place for Paige & Eldon to relax and be pampered. The spa offers assorted treatments, massages and salon services while the fitness center has exercise equipment, steam bath and whirlpool. 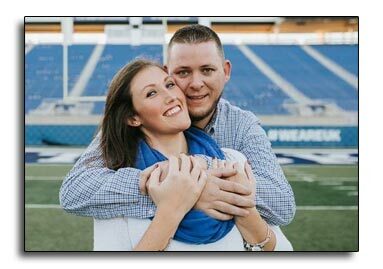 What a magical week this will be for Paige & Eldon celebrating their wedding and honeymoon. All making sweet and special memories along the way! 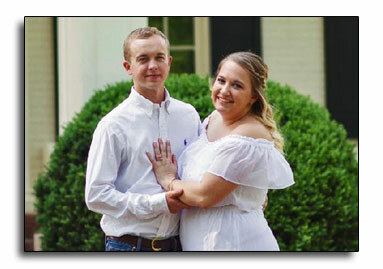 Click here to help Paige and Eldon experience a most romantic and memorable Honeymoon! 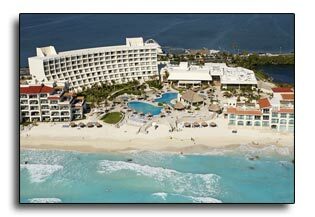 Brittany & Greg will be honeymooning at the lovely Grand Park Royal Cancun Luxury Resort, an all-inclusive choice in Cancun's Hotel Zone, known for its exclusivity, with an expansive white-sand beach area and glistening views of the sea from every guest room. 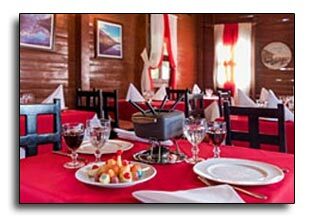 Here they will find a comfortable ambience that meets fine dining options, & wonderful facilities, resulting in what will be an excellent experience for them. An updated Deluxe Ocean View Room will be waiting for Brittany & Greg, featuring contemporary décor, a king bed and private balcony or terrace with ocean view. 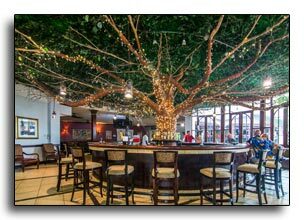 This honeymoon couple will have 4 Restaurants, 4 Bars/Lounges, Nightly Entertainment, Room Service and 2 Snack Bars/Deli to choose from for meals and drinks. 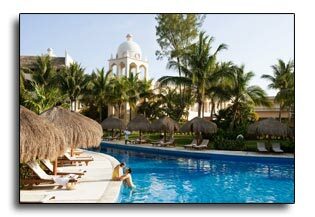 They will also enjoy the pools, beach and local activities available to them while in Cancun. 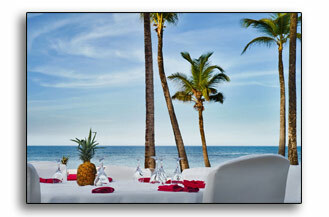 During the evenings Brittany & Greg will enjoy live music selections while dining at El Oriental, Cocay and El Mirador. 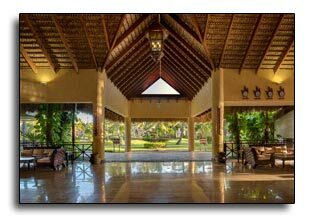 After dinner the dance floor at the Lobby Bar awaits them to make the perfect end to every day. 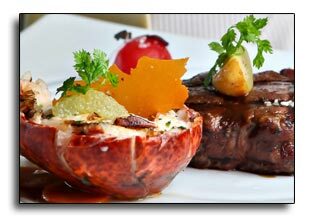 Plus 24-hour room service will complete their great gourmet experience. What a perfect way for Brittany & Greg to begin their marriage! 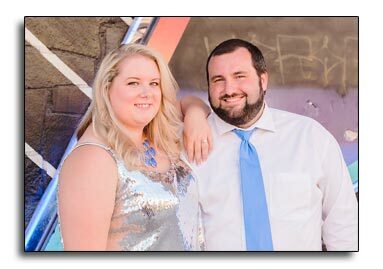 Click here to help Brittany and Greg experience a most romantic and memorable Honeymoon! 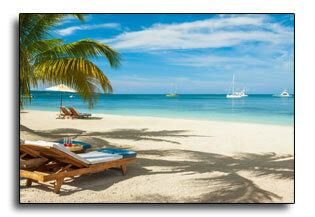 Ella and Trenton have chosen St. Lucia, the "Hawaii of the Caribbean" for their honeymoon location. 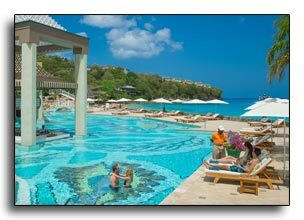 Recognized as the most sparkling jewel in the islands, Sandals Regency La Toc is a magnificent 220-acre estate set on a half-mile, crescent shaped beach with exotic coral bluffs, lush hillsides and rolling fairways. As they pass through the magnificent gated entrance and into the legendary La Toc estate, a sense of magic unfolds like a storybook romance, with a spectacular half-mile entry drive. Their Oceanfront 2 Story 1 Bedroom Butler Villa Suite will be set along the golden-sand shore, bringing Ella and Trenton close to the water's edge. 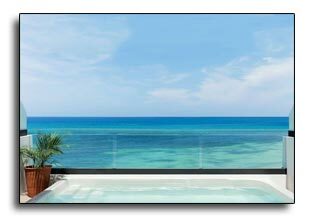 They will have an expansive balcony featuring two private terraces and a stairway that leads directly to the beach. 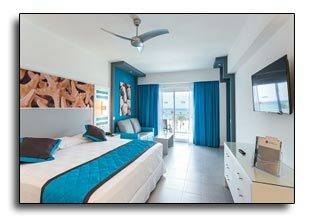 More than a suite, these exceptional escapes are reminiscent of a casually elegant beach house. Chic, warm and stylish, sea-inspired decor brings the serenity of the outside in with natural wood finishes and subtle shades of sea glass. Upstairs is an open and airy living room complete with plush seating, a wall-mounted HD Smart television, fully stocked bar, and retractable glass doors that welcome the sunlight. The lower level showcases a spacious master bedroom with a king-size sleigh bed, iPod docking station, HD Smart television, and glass doors that open up to a private balcony overlooking the beach. 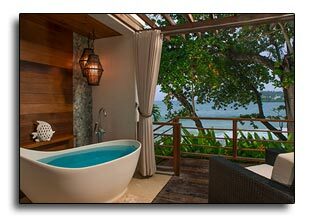 An outdoor Tranquility Soaking Tub is perfect for two. 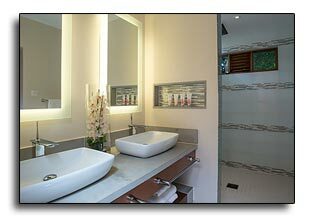 The en-suite bathroom is an escape within itself featuring a spa-style walk-in rain shower and long double vanity with backlit mirror. 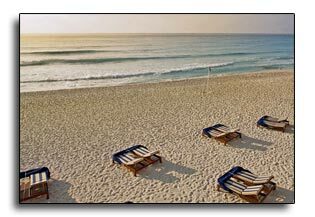 Ella and Trenton will enjoy waking up to ocean panoramas each morning and the attentive service of a personal butler. Butler Elite and 24-hour room service are included. Ella and Trenton will choose from 9 unique restaurants showcasing the cuisines and ambiance of Italy, France, England, the Caribbean, and the Far East. Each restaurant has a team of dedicated international chefs whose attention to detail and service is what is expected in the most acclaimed restaurants across the globe. 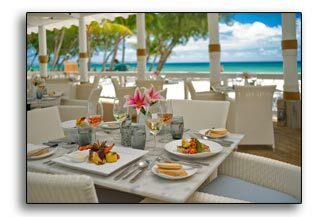 Having exchange privileges at Sandals Halcyon and Sandals Grande St. Lucian there are 18 more dining options to choose from. 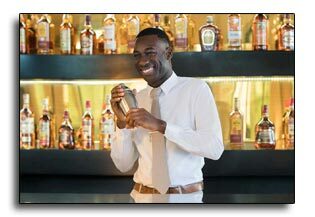 La Toc has 8 bars offering unlimited premium spirits including Robert Mondavi Twin Oaks Wines exclusively for Sandals Resorts. Coffee lovers will enjoy Jamaica Blue Mountain Coffee ... the finest in the world. 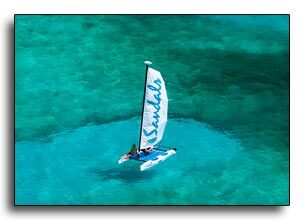 A variety of water sports including glass bottom boat rides, snorkeling, kayaks and hobie cats or land sports, including tennis and beach volleyball will keep Ella and Trenton as active as they want to be. 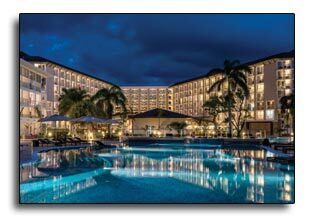 They might choose to relax by the largest pool in the Caribbean or lounge under a swaying palm tree sipping their favorite cocktails. A more relaxing time awaits at the signature Red Lane Spa. This sanctuary for mind, body and soul re-interprets classic European spa rituals with a classic Caribbean flair. A couples massage would be perfect for Ella and Trenton to relax and re-energize. What a dream come true for Ella and Trenton to begin this new chapter of their life together on this beautiful exotic island. 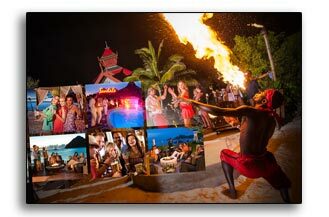 The warmth of the island will soothe their souls ... all the while making sweet and special memories! Click here to help Ella and Trenton experience a most romantic and memorable Honeymoon! 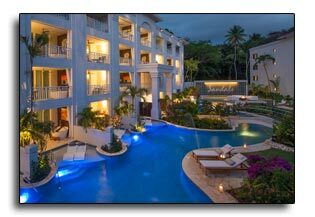 Kaylen & David will be honeymooning at the beautiful Sandals Barbados Resort. 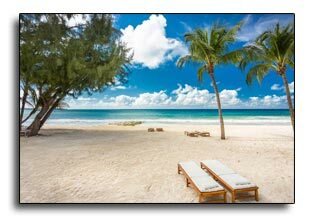 A 5 Star Luxury Resort, located on Dover Beach, will offer this couple all they have dreamed about as a honeymoon location. They have chosen a Crystal Lagoon Swim-Up Club Luxury Room with Patio Tranquility Soaking Tub, featuring a 4-poster king bed and a a large private patio with circular Tranquility Soaking Tub for two and zero-entry access to the resort's Crystal Lagoon pool. 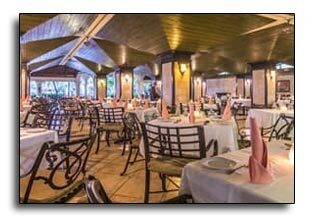 With 11 restaurants and the exciting Global Gourmet Dining cuisines, as well as six bars and lounges, Kaylen & David will not be without plenty of wonderful food and drink choices. 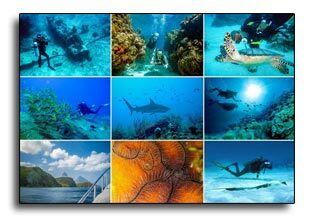 This couple will choose from relaxing spa services, exciting tours, a vast array of land and water sports, including scuba diving, hobie cat sail boats and snorkeling. 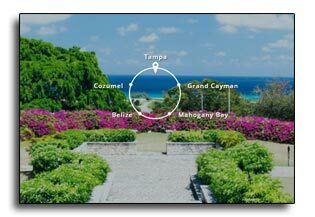 In the evenings, they may choose to relax by a romantic fire pit, attend Caribbean Shows or sit back and listen to the vibe of island music over a cocktail. 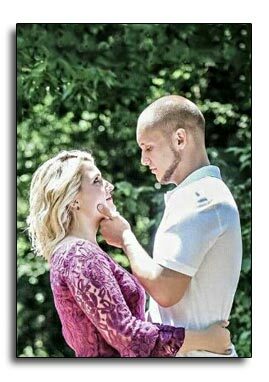 What a wonderful way for Kaylen & David to begin their marriage and bring home memories to last a lifetime! Click here to help Kaylen and David experience a most romantic and memorable Honeymoon! 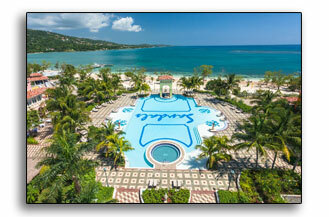 Kyla and Mark will visit Sandals South Coast for their honeymoon. 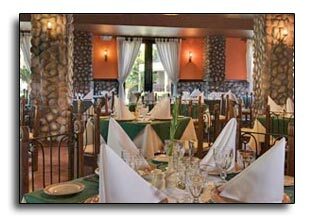 Located in Whitehouse Jamaica along 2 miles of beachfront the resort offers relaxation and romance. 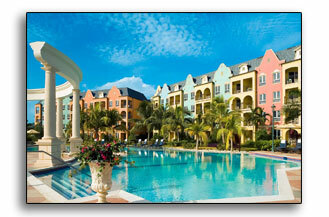 There are 3 pools located within the Italian, Dutch and French Villages. At night extravagant bonfire areas and fire pits add to the glow of this truly unique destination in the heart of paradise. 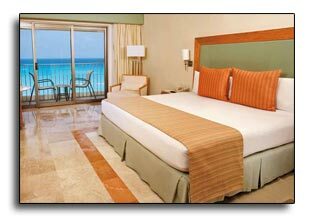 Kyla and Mark have chosen a Beachfront Grand Luxe Walkout Club Level Room. This tastefully decorated room is located on the ground floor of the Dutch village. 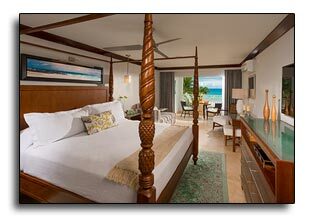 The room has West Indian hardwood furniture and modern bedding including a pillow-top four poster king sized bed. Doors open up to the beautiful gardens and the pristine white sand beach of Jamaica's south coast both enhanced by picture windows in the sitting area and a convenient ground floor location. Kyla and Mark will enjoy sitting on their private balcony listening to the sounds of the ocean and watching the beautiful sunsets. 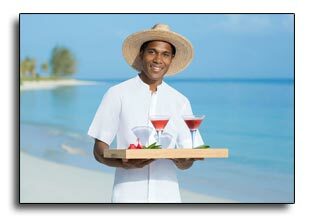 As an exclusive Club Sandals suite, a dedicated concierge is available to handle any special requests and reservations. 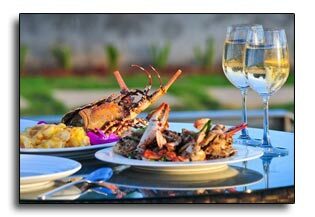 Chefs in the 9 resort restaurants use only the freshest ingredients to create authentic regional specialties from Italian, Asian and Mediterranean, to Caribbean, Jamaican and more. 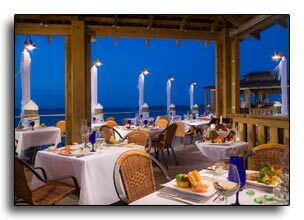 Kyla and Mark might choose to dine along the beach at a romantic table for two or on the piazza. There's a lot to cheer about when every bar serves every drink on the house. 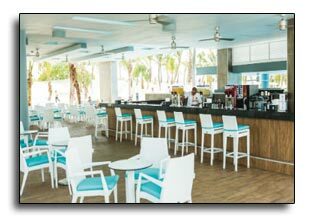 They will enjoy unlimited drinks and unlimited good times at 6 bars including a sophisticated piano bar, a chic martini bar, a sizzling cabaret and the new Latitudes over water bar. 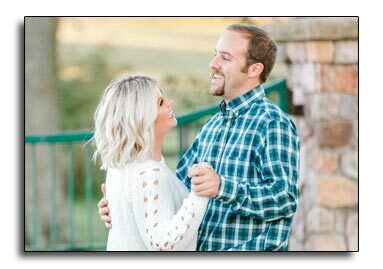 Kyla and Mark will have a wide range of activities including land-based sports such as tennis, volleyball, outdoor chess and shuffle board, billiards, and every board game imaginable. 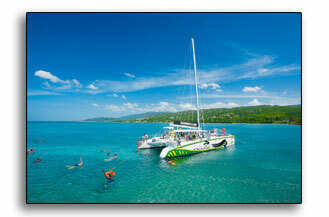 Water sports include sailing, scuba diving, windsurfing, water skiing, kayaking, a glass bottom boat... and more. 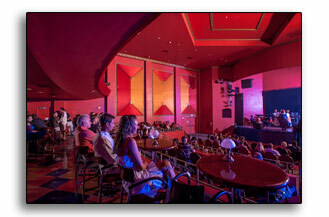 At night, the energy level kicks up a notch with shows at a the amphitheater, opulent beach parties or at the lively piano bar. 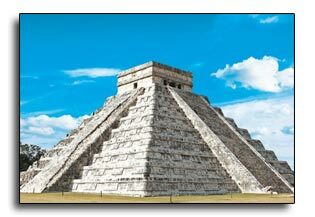 To be pampered Kyla and Mark might visit The Red Lane® Spa ... a sanctuary for relaxation and rejuvenation. 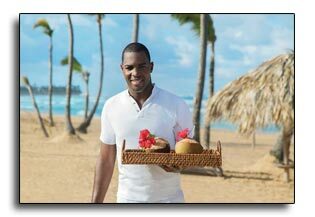 Services are reinterpreted with a distinctive Caribbean flair. 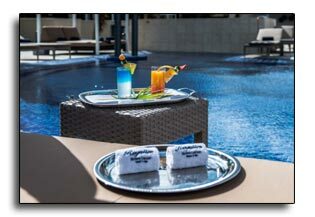 They will find a unique sense of tranquility with a selection of exclusive services including massage, steam room, plunge pools and relaxation areas in secluded gardens. 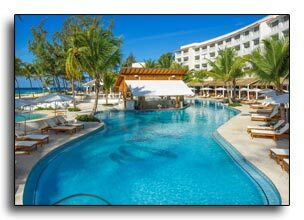 Sandals South Coast ... filled with luxury, excitement and sophistication this will no doubt be a magical location for Kyla and Mark to begin this new chapter in their lives together. 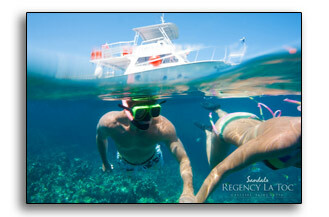 Click here to help Kyla and Mark experience a most romantic and memorable Honeymoon!